This article is about euthanasia of humans. For mercy killings performed on other animals, see Animal euthanasia. For The Megadeth album, see Youthanasia. Euthanasia (from Greek: εὐθανασία; "good death": εὖ, eu; "well" or "good" – θάνατος, thanatos; "death") is the practice of intentionally ending a life to relieve pain and suffering. There are different euthanasia laws in each country. The British House of Lords Select Committee on Medical Ethics defines euthanasia as "a deliberate intervention undertaken with the express intention of ending a life, to relieve intractable suffering". In the Netherlands and Belgium, euthanasia is understood as "termination of life by a doctor at the request of a patient". The Dutch law however, does not use the term 'euthanasia' but includes it under the broader definition of "assisted suicide and termination of life on request". Euthanasia is categorized in different ways, which include voluntary, non-voluntary, or involuntary. Voluntary euthanasia is legal in some countries. Non-voluntary euthanasia (patient's consent unavailable) is illegal in all countries. Involuntary euthanasia (without asking consent or against the patient's will) is also illegal in all countries and is usually considered murder. As of 2006, euthanasia is the most active area of research in contemporary bioethics. In some countries there is a divisive public controversy over the moral, ethical, and legal issues of euthanasia. Passive euthanasia (known as "pulling the plug") is legal under some circumstances in many countries. Active euthanasia however is legal or de facto legal in only a handful of countries (e.g. Belgium, Canada, Switzerland) and is limited to specific circumstances and the approval of councilors and doctors or other specialists. In some countries such as Nigeria, Saudi Arabia and Pakistan, support for active euthanasia is almost non-existent. Like other terms borrowed from history, "euthanasia" has had different meanings depending on usage. The first apparent usage of the term "euthanasia" belongs to the historian Suetonius, who described how the Emperor Augustus, "dying quickly and without suffering in the arms of his wife, Livia, experienced the 'euthanasia' he had wished for." The word "euthanasia" was first used in a medical context by Francis Bacon in the 17th century, to refer to an easy, painless, happy death, during which it was a "physician's responsibility to alleviate the 'physical sufferings' of the body." Bacon referred to an "outward euthanasia"—the term "outward" he used to distinguish from a spiritual concept—the euthanasia "which regards the preparation of the soul." In current usage, euthanasia has been defined as the "painless inducement of a quick death". However, it is argued that this approach fails to properly define euthanasia, as it leaves open a number of possible actions which would meet the requirements of the definition, but would not be seen as euthanasia. In particular, these include situations where a person kills another, painlessly, but for no reason beyond that of personal gain; or accidental deaths that are quick and painless, but not intentional. Another approach incorporates the notion of suffering into the definition. The definition offered by the Oxford English Dictionary incorporates suffering as a necessary condition, with "the painless killing of a patient suffering from an incurable and painful disease or in an irreversible coma", This approach is included in Marvin Khol and Paul Kurtz's definition of it as "a mode or act of inducing or permitting death painlessly as a relief from suffering". Counterexamples can be given: such definitions may encompass killing a person suffering from an incurable disease for personal gain (such as to claim an inheritance), and commentators such as Tom Beauchamp and Arnold Davidson have argued that doing so would constitute "murder simpliciter" rather than euthanasia. The third element incorporated into many definitions is that of intentionality – the death must be intended, rather than being accidental, and the intent of the action must be a "merciful death". Michael Wreen argued that "the principal thing that distinguishes euthanasia from intentional killing simpliciter is the agent's motive: it must be a good motive insofar as the good of the person killed is concerned." Similarly, Heather Draper speaks to the importance of motive, arguing that "the motive forms a crucial part of arguments for euthanasia, because it must be in the best interests of the person on the receiving end." Definitions such as that offered by the House of Lords Select Committee on Medical Ethics take this path, where euthanasia is defined as "a deliberate intervention undertaken with the express intention of ending a life, to relieve intractable suffering." Beauchamp and Davidson also highlight Baruch Brody's "an act of euthanasia is one in which one person ... (A) kills another person (B) for the benefit of the second person, who actually does benefit from being killed". In summary, we have argued ... that the death of a human being, A, is an instance of euthanasia if and only if (1) A's death is intended by at least one other human being, B, where B is either the cause of death or a causally relevant feature of the event resulting in death (whether by action or by omission); (2) there is either sufficient current evidence for B to believe that A is acutely suffering or irreversibly comatose, or there is sufficient current evidence related to A's present condition such that one or more known causal laws supports B's belief that A will be in a condition of acute suffering or irreversible comatoseness; (3) (a) B's primary reason for intending A's death is cessation of A's (actual or predicted future) suffering or irreversible comatoseness, where B does not intend A's death for a different primary reason, though there may be other relevant reasons, and (b) there is sufficient current evidence for either A or B that causal means to A's death will not produce any more suffering than would be produced for A if B were not to intervene; (4) the causal means to the event of A's death are chosen by A or B to be as painless as possible, unless either A or B has an overriding reason for a more painful causal means, where the reason for choosing the latter causal means does not conflict with the evidence in 3b; (5) A is a nonfetal organism. Person A committed an act of euthanasia if and only if (1) A killed B or let her die; (2) A intended to kill B; (3) the intention specified in (2) was at least partial cause of the action specified in (1); (4) the causal journey from the intention specified in (2) to the action specified in (1) is more or less in accordance with A's plan of action; (5) A's killing of B is a voluntary action; (6) the motive for the action specified in (1), the motive standing behind the intention specified in (2), is the good of the person killed. Wreen also considered a seventh requirement: "(7) The good specified in (6) is, or at least includes, the avoidance of evil", although as Wreen noted in the paper, he was not convinced that the restriction was required. In discussing his definition, Wreen noted the difficulty of justifying euthanasia when faced with the notion of the subject's "right to life". In response, Wreen argued that euthanasia has to be voluntary, and that "involuntary euthanasia is, as such, a great wrong". Other commentators incorporate consent more directly into their definitions. For example, in a discussion of euthanasia presented in 2003 by the European Association of Palliative Care (EPAC) Ethics Task Force, the authors offered: "Medicalized killing of a person without the person's consent, whether nonvoluntary (where the person is unable to consent) or involuntary (against the person's will) is not euthanasia: it is murder. Hence, euthanasia can be voluntary only." Although the EPAC Ethics Task Force argued that both non-voluntary and involuntary euthanasia could not be included in the definition of euthanasia, there is discussion in the literature about excluding one but not the other. There is a debate within the medical and bioethics literature about whether or not the non-voluntary (and by extension, involuntary) killing of patients can be regarded as euthanasia, irrespective of intent or the patient's circumstances. In the definitions offered by Beauchamp and Davidson and, later, by Wreen, consent on the part of the patient was not considered as one of their criteria, although it may have been required to justify euthanasia. However, others see consent as essential. Euthanasia was practiced in Ancient Greece and Rome: for example, hemlock was employed as a means of hastening death on the island of Kea, a technique also employed in Marseilles. 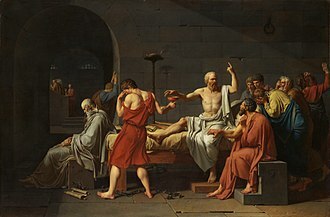 Euthanasia, in the sense of the deliberate hastening of a person's death, was supported by Socrates, Plato and Seneca the Elder in the ancient world, although Hippocrates appears to have spoken against the practice, writing "I will not prescribe a deadly drug to please someone, nor give advice that may cause his death" (noting there is some debate in the literature about whether or not this was intended to encompass euthanasia). Euthanasia: a very gentle and quiet death, which happens without painful convulsions. The word comes from ευ, bene, well, and θανατος, mors, death. The concept of euthanasia in the sense of alleviating the process of death goes back to the medical historian, Karl Friedrich Heinrich Marx, who drew on Bacon's philosophical ideas. According to Marx, a doctor had a moral duty to ease the suffering of death through encouragement, support and mitigation using medication. Such an "alleviation of death" reflected the contemporary zeitgeist, but was brought into the medical canon of responsibility for the first time by Marx. Marx also stressed the distinction between the theological care of the soul of sick people from the physical care and medical treatment by doctors. Suicide and euthanasia became more accepted during the Age of Enlightenment. Thomas More wrote of euthanasia in Utopia, although it is not clear if More was intending to endorse the practice. :208–209 Other cultures have taken different approaches: for example, in Japan suicide has not traditionally been viewed as a sin, as it is used in cases of honor, and accordingly, the perceptions of euthanasia are different from those in other parts of the world. That in all cases of hopeless and painful illness, it should be the recognized duty of the medical attendant, whenever so desired by the patient, to administer chloroform or such other anaesthetic as may by-and-bye supersede chloroform – so as to destroy consciousness at once, and put the sufferer to a quick and painless death; all needful precautions being adopted to prevent any possible abuse of such duty; and means being taken to establish, beyond the possibility of doubt or question, that the remedy was applied at the express wish of the patient. The essay was favourably reviewed in The Saturday Review, but an editorial against the essay appeared in The Spectator. From there it proved to be influential, and other writers came out in support of such views: Lionel Tollemache wrote in favour of euthanasia, as did Annie Besant, the essayist and reformer who later became involved with the National Secular Society, considering it a duty to society to "die voluntarily and painlessly" when one reaches the point of becoming a 'burden'. Popular Science analyzed the issue in May 1873, assessing both sides of the argument. Kemp notes that at the time, medical doctors did not participate in the discussion; it was "essentially a philosophical enterprise ... tied inextricably to a number of objections to the Christian doctrine of the sanctity of human life". The rise of the euthanasia movement in the United States coincided with the so-called Gilded Age, a time of social and technological change that encompassed an "individualistic conservatism that praised laissez-faire economics, scientific method, and rationalism", along with major depressions, industrialisation and conflict between corporations and labour unions. :794 It was also the period in which the modern hospital system was developed, which has been seen as a factor in the emergence of the euthanasia debate. Robert Ingersoll argued for euthanasia, stating in 1894 that where someone is suffering from a terminal illness, such as terminal cancer, they should have a right to end their pain through suicide. Felix Adler offered a similar approach, although, unlike Ingersoll, Adler did not reject religion. In fact, he argued from an Ethical Culture framework. In 1891, Adler argued that those suffering from overwhelming pain should have the right to commit suicide, and, furthermore, that it should be permissible for a doctor to assist – thus making Adler the first "prominent American" to argue for suicide in cases where people were suffering from chronic illness. Both Ingersoll and Adler argued for voluntary euthanasia of adults suffering from terminal ailments. Dowbiggin argues that by breaking down prior moral objections to euthanasia and suicide, Ingersoll and Adler enabled others to stretch the definition of euthanasia. Euthanasia opponent Ian Dowbiggin argues that the early membership of the Euthanasia Society of America (ESA) reflected how many perceived euthanasia at the time, often seeing it as a eugenics matter rather than an issue concerning individual rights. Dowbiggin argues that not every eugenist joined the ESA "solely for eugenic reasons", but he postulates that there were clear ideological connections between the eugenics and euthanasia movements. 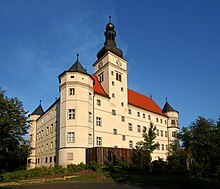 A 24 July 1939 killing of a severely disabled infant in Nazi Germany was described in a BBC "Genocide Under the Nazis Timeline" as the first "state-sponsored euthanasia". Parties that consented to the killing included Hitler's office, the parents, and the Reich Committee for the Scientific Registration of Serious and Congenitally Based Illnesses. The Telegraph noted that the killing of the disabled infant—whose name was Gerhard Kretschmar, born blind, with missing limbs, subject to convulsions, and reportedly "an idiot"— provided "the rationale for a secret Nazi decree that led to 'mercy killings' of almost 300,000 mentally and physically handicapped people". While Kretchmar's killing received parental consent, most of the 5,000 to 8,000 children killed afterwards were forcibly taken from their parents. Jost argued that control over the death of the individual must ultimately belong to the social organism, the state. This concept is in direct opposition to the Anglo-American concept of euthanasia, which emphasizes the individual's 'right to die' or 'right to death' or 'right to his or her own death,' as the ultimate human claim. In contrast, Jost was pointing to the state's right to kill. ... Ultimately the argument was biological: 'The rights to death [are] the key to the fitness of life.' The state must own death—must kill—in order to keep the social organism alive and healthy. The ultimate object of the Euthanasia Society is based on the Totalitarian principle that the state is supreme and that the individual does not have the right to live if his continuance in life is a burden or hindrance to the state. The Nazis followed this principle and compulsory Euthanasia was practiced as a part of their program during the recent war. We American citizens of New York State must ask ourselves this question: "Are we going to finish Hitler's job?" Historically, the euthanasia debate has tended to focus on a number of key concerns. According to euthanasia opponent Ezekiel Emanuel, proponents of euthanasia have presented four main arguments: a) that people have a right to self-determination, and thus should be allowed to choose their own fate; b) assisting a subject to die might be a better choice than requiring that they continue to suffer; c) the distinction between passive euthanasia, which is often permitted, and active euthanasia, which is not substantive (or that the underlying principle–the doctrine of double effect–is unreasonable or unsound); and d) permitting euthanasia will not necessarily lead to unacceptable consequences. Pro-euthanasia activists often point to countries like the Netherlands and Belgium, and states like Oregon, where euthanasia has been legalized, to argue that it is mostly unproblematic. Similarly, Emanuel argues that there are four major arguments presented by opponents of euthanasia: a) not all deaths are painful; b) alternatives, such as cessation of active treatment, combined with the use of effective pain relief, are available; c) the distinction between active and passive euthanasia is morally significant; and d) legalising euthanasia will place society on a slippery slope, which will lead to unacceptable consequences. :797-8 In fact, in Oregon, in 2013, pain wasn't one of the top five reasons people sought euthanasia. Top reasons were a loss of dignity, and a fear of burdening others. West's Encyclopedia of American Law states that "a 'mercy killing' or euthanasia is generally considered to be a criminal homicide" and is normally used as a synonym of homicide committed at a request made by the patient. The judicial sense of the term "homicide" includes any intervention undertaken with the express intention of ending a life, even to relieve intractable suffering. Not all homicide is unlawful. Two designations of homicide that carry no criminal punishment are justifiable and excusable homicide. In most countries this is not the status of euthanasia. The term "euthanasia" is usually confined to the active variety; the University of Washington website states that "euthanasia generally means that the physician would act directly, for instance by giving a lethal injection, to end the patient's life". Physician-assisted suicide is thus not classified as euthanasia by the US State of Oregon, where it is legal under the Oregon Death with Dignity Act, and despite its name, it is not legally classified as suicide either. Unlike physician-assisted suicide, withholding or withdrawing life-sustaining treatments with patient consent (voluntary) is almost unanimously considered, at least in the United States, to be legal. The use of pain medication to relieve suffering, even if it hastens death, has been held as legal in several court decisions. A 2010 survey in the United States of more than 10,000 physicians found that 16.3% of physicians would consider halting life-sustaining therapy because the family demanded it, even if they believed that it was premature. Approximately 54.5% would not, and the remaining 29.2% responded "it depends". The study also found that 45.8% of physicians agreed that physician-assisted suicide should be allowed in some cases; 40.7% did not, and the remaining 13.5% felt it depended. The Roman Catholic Church strongly opposes and condemns euthanasia and assisted suicide as morally wrong. It states that, "intentional euthanasia, whatever its forms or motives, is murder. It is gravely contrary to the dignity of the human person and to the respect due to the living God, his Creator". Because of this, the practice is unacceptable within the Church. The Orthodox Church in America, along with other Eastern Orthodox Churches, also opposes euthanasia stating that it must be condemned as murder stating that, "Euthanasia is the deliberate cessation to end human life." There is much debate on the topic of euthanasia in Judaic theology, ethics, and general opinion (especially in Israel and the United States). Passive euthanasia was declared legal by Israel's highest court under certain conditions and has reached some level of acceptance. Active euthanasia remains illegal, however the topic is actively under debate with no clear consensus through legal, ethical, theological and spiritual perspectives. ^ "Euthanasia". Worldrtd.net. Archived from the original on 5 August 2017. Retrieved 6 July 2017. Philosopher Helga Kuhse: "'Euthanasia' is a compound of two Greek words – eu and thanatos meaning, literally, 'a good death'. Today, 'euthanasia' is generally understood to mean the bringing about of a good death – 'mercy killing,' where one person, A, ends the life of another person, B, for the sake of B." ^ "Voluntary Euthanasia". Voluntary Euthanasia (Stanford Encyclopedia of Philosophy). Plato.stanford.edu. Metaphysics Research Lab, Stanford University. 2018. Retrieved 2017-07-06. ^ a b c d Harris, NM. (October 2001). "The euthanasia debate". J R Army Med Corps. 147 (3): 367–70. doi:10.1136/jramc-147-03-22. PMID 11766225. ^ Carr, Claudia (2014). Unlocking Medical Law and Ethics (2nd ed.). Routledge. p. 374. ISBN 9781317743514. Retrieved 2 February 2018. ^ Borry P, Schotsmans P, Dierickx K (April 2006). "Empirical research in bioethical journals. A quantitative analysis". J Med Ethics. 32 (4): 240–45. doi:10.1136/jme.2004.011478. PMC 2565792. PMID 16574880. ^ Francis Bacon: The Major Works by Francis Bacon, edited by Brian Vickers, p. 630. ^ Kohl, Marvin (1974). The Morality of Killing. New York: Humanities Press. p. 94. , quoted in Beauchamp & Davidson (1979), p 294. A similar definition is offered by Blackburn (1994) with "the action of causing the quick and painless death of a person, or not acting to prevent it when prevention was within the agent's powers." ^ a b c d e Beauchamp, Tom L.; Davidson, Arnold I. (1979). "The Definition of Euthanasia". Journal of Medicine and Philosophy. 4 (3): 294–312. doi:10.1093/jmp/4.3.294. PMID 501249. ^ a b Draper, Heather (1998). "Euthanasia". In Chadwick, Ruth. Encyclopedia of Applied Ethics. 2. Academic Press. ^ "euthanasia". Oxford Dictionaries. Oxford University Press. April 2010. Archived from the original on 21 August 2011. Retrieved 26 April 2011. ^ Kohl, Marvin; Kurtz, Paul (1975). "A Plea for Beneficient Euthanasia". In Kohl, Marvin. Beneficient Euthanasia. Buffalo, New York: Prometheus Books. p. 94. , quoted in Beauchamp & Davidson (1979), p 295. ^ Wreen, Michael (1988). "The Definition of Euthanasia". Philosophy and Phenomenological Research. 48 (4): 637–53 . doi:10.2307/2108012. JSTOR 2108012. ^ Brody, Baruch (1975). "Voluntary Euthanasia and the Law". In Kohl, Marvin. Beneficient Euthanasia. Buffalo, New York: Prometheus Books. p. 94. , quoted in Beauchamp & Davidson (1979), p 295. ^ Draper, Heather (1998). "Euthanasia". In Chadwick, Ruth. Encyclopedia of Applied Ethics. 2. Academic Press. p. 176. ^ Beauchamp, Tom L.; Davidson, Arnold I. (1979). "The Definition of Euthanasia". Journal of Medicine and Philosophy. 4 (3): 303. doi:10.1093/jmp/4.3.294. PMID 501249. ^ Beauchamp, Tom L.; Davidson, Arnold I. (1979). "The Definition of Euthanasia". Journal of Medicine and Philosophy. 4 (3): 304. doi:10.1093/jmp/4.3.294. PMID 501249. ^ Wreen, Michael (1988). "The Definition of Euthanasia". Philosophy and Phenomenological Research. 48 (4): 637–40. doi:10.2307/2108012. JSTOR 2108012. ^ a b c Wreen, Michael (1988). "The Definition of Euthanasia". Philosophy and Phenomenological Research. 48 (4): 637–53 . doi:10.2307/2108012. JSTOR 2108012. ^ Materstvedt, Lars Johan; Clark, David; Ellershaw, John; Førde, Reidun; Boeck Gravgaard, Anne-Marie; Müller-Busch, Christof; Porta i Sales, Josep; Rapin, Charles-Henri (2003). "Euthanasia and physician-assisted suicide: a view from an EAPC Ethics Task Force". Palliative Medicine. 17 (2): 97–101. CiteSeerX 10.1.1.514.5064. doi:10.1191/0269216303pm673oa. PMID 12701848. ^ Perrett RW (October 1996). "Buddhism, euthanasia and the sanctity of life". J Med Ethics. 22 (5): 309–13. doi:10.1136/jme.22.5.309. PMC 1377066. PMID 8910785. ^ LaFollette, Hugh (2002). Ethics in practice: an anthology. Oxford: Blackwell. pp. 25–26. ISBN 978-0-631-22834-9. ^ Wreen, Michael (1988). "The Definition of Euthanasia". Philosophy and Phenomenological Research. 48 (4): 637–53. doi:10.2307/2108012. JSTOR 2108012. ^ Rachels J (January 1975). "Active and passive euthanasia". N. Engl. J. Med. 292 (2): 78–80. doi:10.1056/NEJM197501092920206. PMID 1109443. ^ Mystakidou, Kyriaki; Parpa, Efi; Tsilika, Eleni; Katsouda, Emanuela; Vlahos, Lambros (2005). "The Evolution of Euthanasia and Its Perceptions in Greek Culture and Civilization". Perspectives in Biology and Medicine. 48 (1): 97–98. doi:10.1353/pbm.2005.0013. PMID 15681882. ^ a b c d e f Stolberg, Michael (2007). "Active Euthanasia in Pre-ModernSociety, 1500–1800: Learned Debates and Popular Practices". Social History of Medicine. 20 (2): 206–07. doi:10.1093/shm/hkm034. ^ Gesundheit, Benjamin; Steinberg, Avraham; Glick, Shimon; Or, Reuven; Jotkovitz, Alan (2006). "Euthanasia: An Overview and the Jewish Perspective". Cancer Investigation. 24 (6): 621–9. doi:10.1080/07357900600894898. PMID 16982468. ^ Zedlers Universallexikon, Vol. 08, p. 1150, published 1732–54. 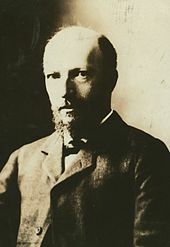 ^ Helge Dvorak: Biographisches Lexikon der Deutschen Burschenschaft. Vol. I, Sub-vol. 4, Heidelberg, 2000, pp. 40–41. ^ "Historical Timeline: History of Euthanasia and Physician-Assisted Suicide," Archived 5 July 2012 at the Library of Congress Web Archives Euthanasia – ProCon.org. Last updated on: 23 July 2013. Retrieved 4 May 2014. ^ a b Gesundheit, Benjamin; Steinberg, Avraham; Glick, Shimon; Or, Reuven; Jotkovitz, Alan (2006). "Euthanasia: An Overview and the Jewish Perspective". Cancer Investigation. 24 (6): 621–9. doi:10.1080/07357900600894898. PMID 16982468. ^ Mannes, Marya (1975). "Euthanasia vs. the Right to Life". Baylor Law Review. 27: 69. ^ Otani, Izumi (2010). ""Good Manner of Dying" as a Normative Concept: "Autocide", "Granny Dumping" and Discussions on Euthanasia/Death with Dignity in Japan". International Journal of Japanese Society. 19 (1): 49–63. doi:10.1111/j.1475-6781.2010.01136.x. ^ a b c d e f Emanuel, Ezekiel (1994). "The history of euthanasia debates in the United States and Britain". Annals of Internal Medicine. 121 (10): 796. CiteSeerX 10.1.1.732.724. doi:10.7326/0003-4819-121-10-199411150-00010. ^ Ian Dowbiggin (March 2007). A Concise History of Euthanasia: Life, Death, God, and Medicine. Rowman & Littlefield. pp. 51, 62–64. ISBN 978-0-7425-3111-6. Retrieved 23 June 2011. ^ Corporation, Bonnier (May 1873). "Popular Science". ^ Pappas, Demetra (1996). "Recent historical perspectives regarding medical euthanasia and physician assisted suicide". British Medical Bulletin. 52 (2): 386–87. doi:10.1093/oxfordjournals.bmb.a011554. PMID 8759237. ^ a b c d e f Dowbiggin, Ian (2003). A merciful end: the euthanasia movement in modern America. Oxford University Press. pp. 10–13. ISBN 978-0-19-515443-6. ^ Dowbiggin, Ian (2003). A merciful end: the euthanasia movement in modern America. Oxford University Press. p. 13. ISBN 978-0-19-515443-6. ^ a b c d e Appel, Jacob (2004). "A Duty to Kill? A Duty to Die? Rethinking the Euthanasia Controversy of 1906". Bulletin of the History of Medicine. 78 (3): 610–34. doi:10.1353/bhm.2004.0106. PMID 15356372. ^ Ramsay, J H R (28 May 2011). "A king, a doctor, and a convenient death". British Medical Journal. 308 (1445): 1445. doi:10.1136/bmj.308.6941.1445. PMC 2540387. PMID 11644545. Archived from the original on 7 August 2011. Retrieved 2 August 2011. ^ Gurney, Edward (1972). "Is There a Right to Die – A Study of the Law of Euthanasia". Cumberland-Samford Law Review. 3: 237. ^ a b c Genocide Under the Nazis Timeline: 24 July 1939 Archived 5 August 2011 at the Wayback Machine BBC Accessed 23 July 2011. Quotation: "The first state-sanctioned euthanasia is carried out, after Hitler receives a petition from a child's parents, asking for the life of their severely disabled infant to be ended. This happens after the case has been considered by Hitler's office and by the Reich Committee for the Scientific Registration of Serious and Congenitally Based Illnesses, whose 'experts' have laid down the basis for the removal of disabled children to special 'paediatric clinics'. Here they can be either starved to death or given lethal injections. At least 5,200 infants will eventually be killed through this programme". ^ a b Irene Zoech (11 October 2003). "Named: the baby boy who was Nazis' first euthanasia victim". Telegraph.co.uk. Archived from the original on 8 September 2017. Retrieved 4 July 2017. ^ Genocide Under the Nazis Timeline: 14 January 1940 Archived 5 August 2011 at the Wayback Machine BBC Accessed 23 July 2011. Quotation: "The 'euthanasia campaign' gathers momentum in Germany, as six special killing centres and gas vans, under an organisation code-named T4, are used in the murder of 'handicapped' adults. Over 70,000 Germans will eventually be killed in this act of mass murder – it is the first time poison bas will be used for such a purpose". ^ a b Michalsen A, Reinhart K (September 2006). ""Euthanasia": A confusing term, abused under the Nazi regime and misused in present end-of-life debate". Intensive Care Med. 32 (9): 1304–10. doi:10.1007/s00134-006-0256-9. PMID 16826394. ^ a b The Moncton Transcript. "Ministers Ask Mercy Killing." 6 January 1949. ^ Wesley J. Smith (1997). Forced Exit (Forced exit ed.). New York: Times Books. ISBN 978-0-8129-2790-0. 0812927907. Archived from the original on 4 February 2012. ^ a b "The vulnerable will be the victims: Opposing view". Usatoday.com. Archived from the original on 9 September 2017. Retrieved 4 July 2017. ^ "Dignity in Dying Poll – Populous" (PDF). Retrieved 4 August 2018. ^ Samuel J Ujewe. "Guest Editorial: The place of elderly persons and our responsibility for care". Retrieved 2 February 2019. ^ The legal-dictionary.thefreedictionary.com says: "If a person kills another person in order to end the other person's pain or suffering, the killing is considered a homicide. It does not matter if the other person is about to die or is terminally ill just prior to being killed; the law generally views such a killing as criminal. Thus, a "mercy killing", or act of Euthanasia, is generally considered a criminal homicide ..."
^ Manoj Kumar Mohanty (August 2004). "Variants of homicide: a review". Journal of Clinical Forensic Medicine. 11 (4): 214–18. doi:10.1016/j.jcfm.2004.04.006. PMID 15363757. ^ "Homicide legal definition of homicide". Legal-dictionary.thefreedictionary.com. Archived from the original on 13 May 2016. Retrieved 6 July 2017. ^ a b "the definition of homicide". Dictionary.com. Retrieved 4 July 2017. ^ a b "Physician-Assisted Suicide: Ethical Topic in Medicine". depts.washington.edu. Archived from the original on 13 April 2017. Retrieved 4 July 2017. ^ Taylor, Bill (7 July 2017). "Physician Assisted Suicide" (PDF). Archived from the original (PDF) on 4 December 2004. Retrieved 7 July 2017. ^ Oluyemisi Bamgbose (2004). "Euthanasia: Another Face of Murder". International Journal of Offender Therapy and Comparative Criminology. 48 (1): 111–21. CiteSeerX 10.1.1.631.618. doi:10.1177/0306624X03256662. PMID 14969121. ^ R Cohen-Almagor (2009). "Belgian euthanasia law: a critical analysis". J. Med. Ethics. 35 (7): 436–39. CiteSeerX 10.1.1.508.6943. doi:10.1136/jme.2008.026799. PMID 19567694. ^ "Euthanasia and beyond: on the Supreme Court's verdict SC Constitution Bench holds passive euthanasia, living wills permissible". The Hindu. Karnataka. 9 March 2018. Archived from the original on 5 June 2018. Retrieved 9 March 2018. ^ a b Leslie Kane, MA. "Exclusive Ethics Survey Results: Doctors Struggle With Tougher-Than-Ever Dilemmas". Medscape.com. Archived from the original on 14 August 2017. Retrieved 6 July 2017. ^ "Public opinion – Dignity in Dying". Retrieved 3 August 2018. ^ "Assisted dying case 'stronger than ever' with majority of doctors now in support". 2018-02-07. Retrieved 3 August 2018. ^ "How to Vote Catholic: Euthanasia and Assisted Suicide". www.catholicity.com. ^ a b c "The Orthodox Christian view on Euthanasia". www.orthodoxchristian.info. Archived from the original on 12 August 2017. ^ a b "Assemblies of God (USA) Official Web Site – Medical: Euthanasia, and Extraordinary Support to Sustain Life". ag.org. Archived from the original on 14 August 2017. ^ "21. Selected Church Policies and Guidelines". www.lds.org. Archived from the original on 5 June 2016. ^ "The Church of the Nazarene, Doctrinal and Ethical Positions". www.crivoice.org. Archived from the original on 8 November 2017. ^ "What Are Christian Perspectives on Euthanasia and Physician-Assisted Suicide? - Euthanasia - ProCon.org". euthanasia.procon.org. Archived from the original on 15 August 2017. ^ "LCMS Views – Frequently Asked Questions – The Lutheran Church—Missouri Synod". www.lcms.org. Archived from the original on 14 August 2017. ^ "General Synod Statements: Physician-Assisted Suicide – Reformed Church in America". www.rca.org. Archived from the original on 19 March 2017. ^ "The Salvation Army International – Positional Statement: Euthanasia and Assisted Suicide". www.salvationarmy.org. Archived from the original on 14 August 2017. ^ "Southern Baptist Convention > Resolution on Euthanasia And Assisted Suicide". www.sbc.net. Archived from the original on 9 October 2017. ^ Islamic Perspectives, Euthanasia (Qatl al-raḥma). Abulfadl Mohsin Ebrahim. Journal of the Islamic Medical Association of North America 2007 Volume 4. Fry-Revere, Sigrid (2008). "Euthanasia". In Hamowy, Ronald. The Encyclopedia of Libertarianism. The Encyclopedia of Libertarianism. Thousand Oaks, CA: SAGE Publications, Cato Institute. pp. 156–58. doi:10.4135/9781412965811.n98. ISBN 978-1412965804. LCCN 2008009151. OCLC 750831024. Nitschke, Philip; Fiona Stewart; Philip Nitschke; Fiona Stewart (2006). The Peaceful Pill Handbook. Exit International US Ltd. ISBN 978-0-9788788-0-1. Rachels, James (1986). The end of life: Euthanasia and Morality. Oxford University Press. ISBN 978-0-19-286070-5. Torr, James D. (2000). Euthanasia: opposing viewpoints. San Diego: Greenhaven Press. ISBN 978-0-7377-0127-2.